Christi Weinhuff earned her B.A. in the History of Art from Vanderbilt University, where she also studied Corporate Strategy. 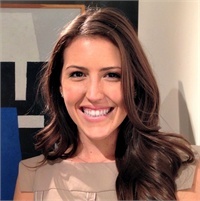 Motivated by her distinct interest in the intersection of the art and financial worlds, Christi’s experiences working in both sectors have fostered the development of a unique skill set. At Clarity Wealth Management, she plays many roles, from the coordination of regular office processes, to the development and execution of the firm’s marketing strategies. Christi also works closely with Gina to manage several aspects of investment advisory client relationships, for both existing and prospective clients.